Parkinson’s will be one of the main health areas to benefit from funding under the European Investment Bank’s (EIB) latest investment round. The EIB – the EU’s long-term lending institution – has approved €10 billion of loans for a variety of strategic projects around the world. These include medical research into Parkinson’s and epilepsy, as well as a host of infrastructure projects and investment in corporate research in the energy, automobile, and textile sectors. 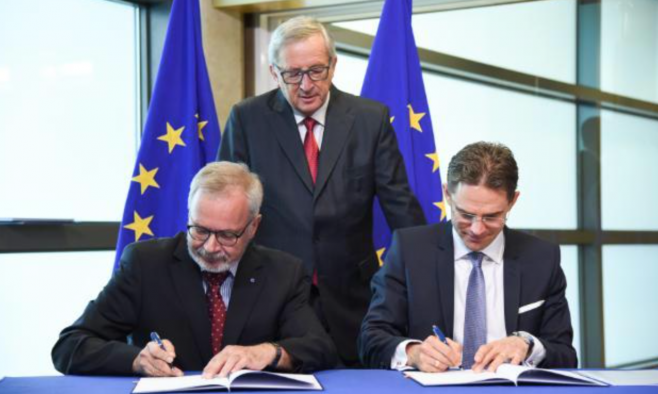 Details of the investment in Parkinson’s have yet to be announced, but previously the EIB has provided funds for the development of new treatments by the Portuguese pharmaceutical company Bial. In 2010-13 the EIB committed €50 million in loans to Bial’s research and development activities on drugs for epilepsy, cardiovascular affections and Parkinson’s disease.